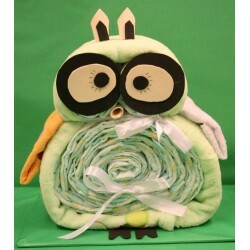 Diaper cakes of fun and original designs, with lots of gifts for the baby and lots of diapers. An original gift but above all useful, you will surely love the parents !. Let yourself be surprised ... a piano, a drums, a well .... or maybe you prefer our R2D2. You choose! 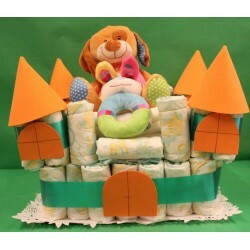 Diaper cakes There are 26 products. 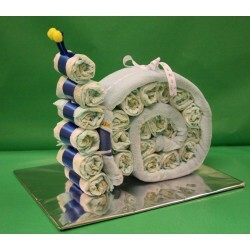 Funny snail of 22 diapers and a blanket. 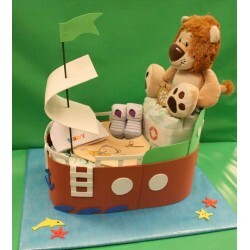 2 Tiers Diaper cake. 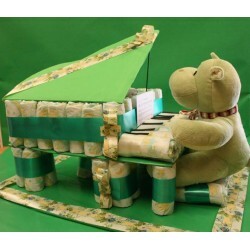 Includes 29 Dodot Stage diapers, a teddy, a rattle and some booties. 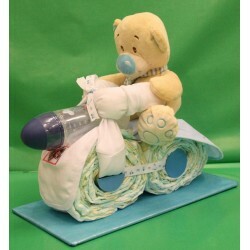 1 Tier diaper cake with 20 diapers from Dodot Stages, a teddy and some booties. 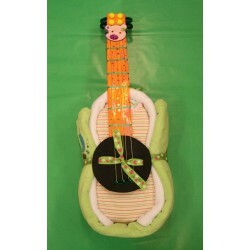 Original guitar of 40 diapers of the brand Dodot Stages, which also includes a body and two blankets. Details and finishes in eva gum. Fantastic boat of 45 diapers of the brand Dodot Stages, with all its details in rubber eva. Sail, flag, ladders, porthole, anchor and fish.